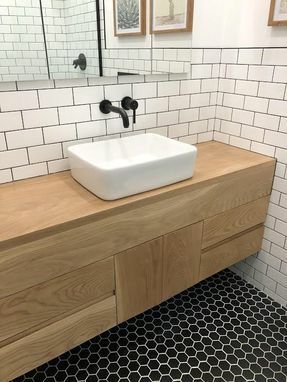 Solid, white oak vanity. Can be made to fit specific dimensions that you need. Soft closing, ball bearing drawer slides and push open door latches.